Car Servicing Reading – Car Servicing And All General Repairs Reading From The Car Service And Repair Centre,we Offer Car Servicing in Reading At Fantastic Prices, a small engine interim Service from £79.00, Does This Sound Good Value, For a Good all round Car Service Reading, Please Contact Us Today on 01189581198 or simply book online free quotes with no obligation to book. Car service Reading / Servicing – Clutches – Brakes – Cambelts – Gearboxes – Exhausts – Turbos – Head Gaskets – Drive Shafts – Suspension – Cooling Systems – Batteries – New Tyres, Puncture Repairs and Fitting MOT preparation and MOT testing from £40.00 if booked online Our Labour rate charges are based on the manufacturer’s published times. Our Labour rate is charged at £60 per hour (+ VAT). We offer a parts and labour guarantee. Car Servicing we can save you up to 60% off the main dealer prices without the loss of Your warranty. Thanks to changes in the European Union legislation (block exemption) we can service your car and save you money without the fear of invalidating your vehicle’s warranty. For a quick and non binding quote please email us and Include your mileage, age, engine size, fuel type and we will get back to you with the price. Your Vehicle may be collected free of charge in the Reading area. All vehicles sold by us are professionally checked and serviced with no expense spared. Full Car Servicing – All The filters including oil, air and fuel are changed, Spark plugs are changed in petrol vehicles. We give you a 52 point check-list on what work has been Carried out, Brake linings are checked and cleaned and a report is given on their condition, All this from £120.00 plus the cost of parts and + Vat. We will consider Any Job And will Always Give you our Customer The Best Advice Possible To Save You Money Where We Can. Are You Going On Holiday, Get Your Car Checked By our Fully Qualified Technicians Before You decide to travel from the Reading Car Service Centre. Suitable for some high mileage vehicles needing frequent oil changes or low mileage vehicles needing only minor annual servicing. Oil and oil filters are changed, engine bay fluid levels are topped up and a visual brake system check and tyre report are carried out and completed. A vehicle health check and road test by a qualified technician are carried out. An annual service suitable for average mileage vehicles covering 12000 miles per year or at 12000 mile intervals for high mileage users. The schedule is more comprehensive than most main dealer service schedules. The service includes oil and oil filter, air filter and pollen filter changes. All tops ups to the engine bay area are included. It is a comprehensive service with all wheels removed and brakes inspected, cleaned and adjusted. A diagnostic scan, vehicle health check and test drive by a qualified technician are all included. A 24 month major service suitable for average mileage vehicles covering 12000 miles per year. or at 24000 mile intervals for high mileage users The schedule is more comprehensive than most main dealer service schedules. The service includes oil and oil filter, air filter, pollen filter, fuel filter and spark plug changes. All tops ups to the engine bay area are included. 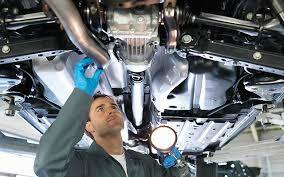 It is a comprehensive service with all wheels removed and brakes inspected, cleaned and adjusted. A Free diagnostic scan, vehicle health check and test drive by a qualified technician are all included. Finally A Goodwill wash and the front foot wells are Hoovered out for you. Warranty Protected – New Government legislation passed in 2003 Called Block exemption means that an independent Garage Like Us Can now carry out your Car Service Requirements and as long as we use Genuine Parts on Your Car Your Warranty is still protected meaning you no longer have to pay main dealer prices so book your car in for your annual Car Service Reading And Mot Today. Car Service And Repairs Reading. Car Servicing Reading Whichever car it is that you drive, be it a family saloon, a huge 4×4 or a sports car, you would always love to have it be a reliable and consistent performer, like a well-oiled machine. And this isn’t very difficult. All you need to do is take the car in for it’s periodic checks. Car servicing is the single most important element to ensure a long and trouble-free life for your car. 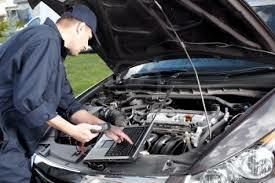 Car Service Reading – Scheduling Your Car’s ‘Scheduled Maintenance’Of course, there’s every possibility that your schedule is a bit too hectic and you’re busy with work, or just cannot afford to drop the car off for a service because you’re afraid it might just take too long. Out Of The Way Car Servicing Reading If you happen to drive far out of town and then are faced with a problem, you’ll no doubt have to visit a nearby car servicing centre. Unless it’s an absolute emergency, don’t let just any technician get under your car’s bonnet. Visit a place you know is reputed and if it’s not an authorized garage for your car brand, ensure the technicians use the approved materials, for instance the exact grade of oil, or replacement parts bearing the exact numbers approved by the car manufacturer. This not only ensures the best results and reliability, but will also comply with any warranty the car may be under, Also make sure you retain all the bills and service receipts that bear the above details. Whoever you entrust your car with, make sure they are careful workers. If they pay attention to the little details, you’ll know your car is in good hands. What To Look For – Car Servicing Reading, Depending on what type of car you drive, it’s easier to pick out any faults and take care of them before they grow into larger problems. For hatchbacks and saloons used by the family, all you need to take care of is the engine oil and all other fluids, check the brakes, wheel alignment and the air conditioning and take note of any squeaks or other odd sounds. If you drive a crossover or a 4×4 and your driving takes you off road or on a trail often, give the steering and suspension a few checks every now and then and drop it off for a service when its needed. Sports Cars tend to demand more attention, but they also come with several terms and conditions. If you’re comfortable working with cars, you can always try to do the small bits yourself, For everything else, the servicing guys will be more than happy to take over. So, no matter what car you drive, take care of it, and it will take care of you in return. Keep an eye and an ear open for any possible issues, have regular top ups performed when required, and before you know it, you’ll have a car that runs as good as new and it will have retained it’s value as well.